My name is Mike Rogers, I live in Texas. I like to thank you this dating website that hooked me up with my beautiful Vietnamese wife in Can Tho, Vietnam. We got married last year and she came to live with me now. Thanks very much! Mike. My name is Marc, I live in Australia. I found my fiancé through VietDating.us last year (January 2017). I just want to say thank you from the bottom of heart for creating such a wonderful website... Marc. VietDating is one of the popular free Vietnam dating and personals site that connects you with your significant life partner. 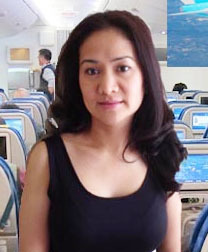 There are many single women in Vietnam and around the world waiting to meet you online. We provide this free service to help you find a pen pal, a friend and husband/wife for dating, relationship and marriage. You can send 3 messages per hour for free and continue with free membership. If you want to send more than 3 messages per hour, then you must upgrade to paid membership. Thousands of singles: we are one of the popular free Vietnamese dating website online. No fake profiles: we check each profile & picture before it comes live. Do not wait any longer. Sign up a frofile and meet your soul mate today. Create a Personal Profile now. It's FREE.